"Ed, Our thoughts are with you at this time." "Colleen was a remarkable woman and a great contributor to..."
"Colleen led an exemplary and inspirational life. She'll be..."
"Dear Ed and family, Colleen was lovely, brilliant and a..."
"Dear cousin, I wish I could have known you better. Ed,..."
Colleen Mathews Quick died January 27th at Presbyterian Manor in Lawrence. She was diagnosed with Progressive Supranuclear Palsy in 2013; PSP is an uncommon brain disorder affecting about 3 in 100,000. Colleen was born April 24,1940 in Ogallala, NE to Howard Vernon Mathews and Nellye Marie Larsen. She is survived by her husband, Edward, of Lawrence; her son, Stephen (Glenda Swetman), of San Francisco, CA; her daughter, Vanessa (Serkan Kutlubay), of Astoria, New York; her son, Andrew, of Derwood, MD; and her sister, Sue Brodt, of Jameson, MO. Her parents are deceased as is her sister, Rose Christensen. Her son, Edward, died of leukemia in1979, at the age of 12. Colleen grew up in Oberlin, KS. Her singing talent and mastery of the clarinet developed early, and through her directing ability she became the Drum Majorette of the Decatur County High School band. She graduated from Ottawa University in 1962 with a B.A. in biology. There she was Drum Majorette of the University band. At Ottawa, she met H. Edward Quick, Jr. and they were married in 1961. During the 1960s, Colleen was a laboratory research assistant on a project examining the metabolism of the brains of lower mammals in the research laboratory of the Department of Psychiatry at Washington University in St. Louis School of Medicine. While living in St. Louis, she continued her interest in choral music by participating in the choir of the Episcopal Cathedral under the direction of Ronald Arnatt. After moving to Washington, DC in 1969, Colleen was a volunteer guide at the Smithsonian Institution's National Museum of Natural History. She became an assistant in their freeze-dry laboratory, where specimens were prepared for inclusion in the Department of Invertebrate Zoology's museum collection, which holds the largest collection of vertebrate specimens in the world. Colleen was also a guide at the National Zoo, where she participated in research on the behavior of great apes by spending countless hours observing the social behavior of gorillas. Many of her closest friends in Washington were in the book discussion group she helped organize in the early 1970s. Her knowledge of American and world literature was extensive as was her love and collection of mystery and crime novels. Colleen was a member of the Candlelighters, a group of parents supporting research toward the treatment of childhood cancers and she was an original member of the group that established the Ronald McDonald House in Washington. The House provides housing and support for families with children being treated for cancer and other life-threatening diseases. Colleen served on the Board of Directors, fund-raising committee, and wrote, edited and did layout of the House's newsletter. From 1987 until retiring in 2005, Colleen was an editor at the Borden Institute, Office of the Surgeon General, United States Army at the Walter Reed Army Medical Center. She worked as an editor on several volumes of the series Textbooks of Military Medicine, which provided information and research about medical issues unique to Army personnel. Her specialty was editing and clarifying expert technical information into understandable language for Army doctors. After moving to Lawrence in 2005, she volunteered at Audio-Reader, reading books aloud to Kansans with visual impairments, and the Early Childhood Development Center of the Lawrence Public Schools, where she selected an Outstanding Volunteer. 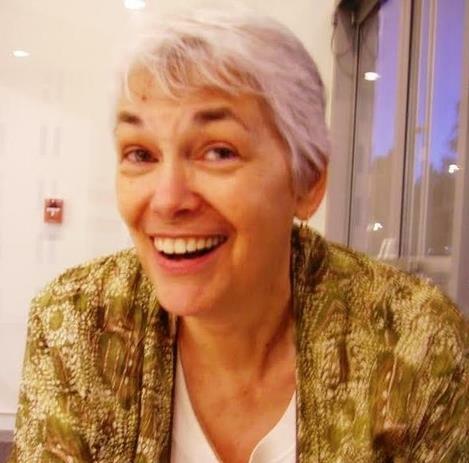 She belonged to the New Generation Society of Lawrence, the Towanda book group and was elected precinct member of the Douglas County Democratic Committee. Colleen donated her remains to further the PSP research conducted by the Mayo Clinic's Department of Neurology. A gathering to celebrate her life will occur in April. Remembrances of Colleen may be made to Ronald McDonald House Charities, Greater Washington, DC 3727 14th St. NE Washington, DC 20017 or at http://rmhcdc.org/donate.